Note (2015/03/19): Today only, the application we mention in this article, “EasyTether”, is Free on the Amazon Appstore. Get it now! We like to talk about non TV related stuff once in a while on this site, and today we’re going to talk about a particular smartphone, the ZTE Zinger. 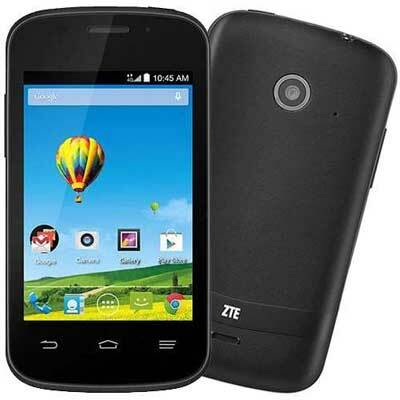 The ZTE Zinger is one of the cheapest smartphones on the market today (ZTE Zinger). It has its flaws of course, but for that kind of price it does a pretty good job (see this ZTE Zinger review for details). It was found when testing the device that doing tethering (using the phone as a wifi hotspot for accessing the internet on your computer, etc…) was tough to achieve. T-Mobile offer a “wifi hotspot” option for $15, but the “wifi hotspot” feature does *not* work on the ZTE Zinger. This is actually specified on the device’s dedicated page on T-Mobile, but that page is difficult to find, so lots of customers ended up paying $15 for nothing. There are also many apps on the Google play store that supposedly “unlock” ways to do wifi hotspot on the phone. A vast majority of these apps are actually only a shortcut to the Wifi hotspot setting, which, as we mentioned above, does not work. Other apps such as clockworkmod tether, promise to enable tethering through a USB cable. We’ve used it in the past on other phones without issues, but this wouldn’t work on the ZTE Zinger. After careful examination, it seems none of the available USB/adb drivers for the ZTE zinger work properly, so these apps end up being useless as well. We found that the only way to get tethering to work on the ZTE Zinger was to do tethering through Bluetooth. The app easyTether lets us do that. You can get EasyTether on the Amazon Appstore, or on the Google Play store. Easytether has a free version that does not support https. This means no google, no gmail, no netflix, etc,… but it will at least let you confirm that the thing works correctly. After that, you’ll want to upgrade to the “pro” version which costs $9.99. We found that this was an ok cost to pay if you’re lost in the middle of nowhere and need to share your 4G connection with a PC. To use your ZTE Zinger as a bluetooth tethering device, make sure Bluetooth is enabled on the phone (in the settings). You’ll then want to pair it with your PC (which also needs to be bluetooth compatible!!). Once this is done, selecting the “Bluetooth” option in the EasyTether app should work instantly. Disclaimer: we are not affiliated in any way with EasyTether, but found that it was well worth the $9.99. Review: ZTE Zinger | How To Retire Early?